In this role, Ms. Van Buren is responsible for providing legal advice and training relating to export,import and sanctions issues worldwide. 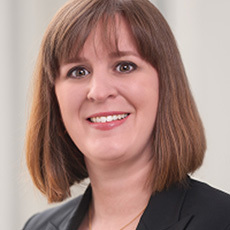 Prior to joining Verizon, Ms. Van Buren was in private practice, counseling clients across various industries on export control, sanctions and related compliance issues. Ms. Van Buren graduated, Order of the Coif, from the University of Wisconsin Law School and received a MA in International Affairs from the Elliott School of International Affairs at George Washington University. In 2011, Ms. Van Buren received the International Labour Organization (ILO) Client Choice Award in the trade and customs category. She participates in webinars in a personal capacity.